Sentronics is celebrating what it is referring to as a ‘breakthrough year’ in 2017, following several successful applications of its precision fuel flow measurement ultrasonic sensors. The FlowSonic Elite model (pictured) was used by the championship-winning teams in IndyCar and IMSA’s GT Le Mans category to help optimise fuel management and pit stop strategy. The entry- level FlowSonic Pro, meanwhile, scored a success at British club racing level, fitted to the vice- champion Renault Clio in Class C of the MSV Trackday Championship. Building on its success in winning four Grands Prix at the end of 2015, Sentronics has also been selected as the sole supplier of fuel flow sensors to the FIA Formula 1 World Championship for the enforcement of fuel flow limits and the IMSA WeatherTech SportsCar Championship for the enhancement of its scrutineering data collection capability. The F1 supply is for the 2018 and 2019 seasons, while the IMSA deal runs from 2018 through 2020. At the year’s final official F1 test in Abu Dhabi earlier this week, all ten teams successfully ran new FlowSonic sensors in preparation for the formal introduction in 2018. 2017 also saw the launch of Sentronics’ FlowSonic LF sensor, designed to measure the ultra low- volume fuel flows found in modern high-efficiency road car engines. Its easy bench-to-vehicle portability makes it an ideal tool not only for OEM engine development but also emissions testing to the new RDE and WLTP regulations. Those standards have led several major automakers to evaluate the LF model over the past year. 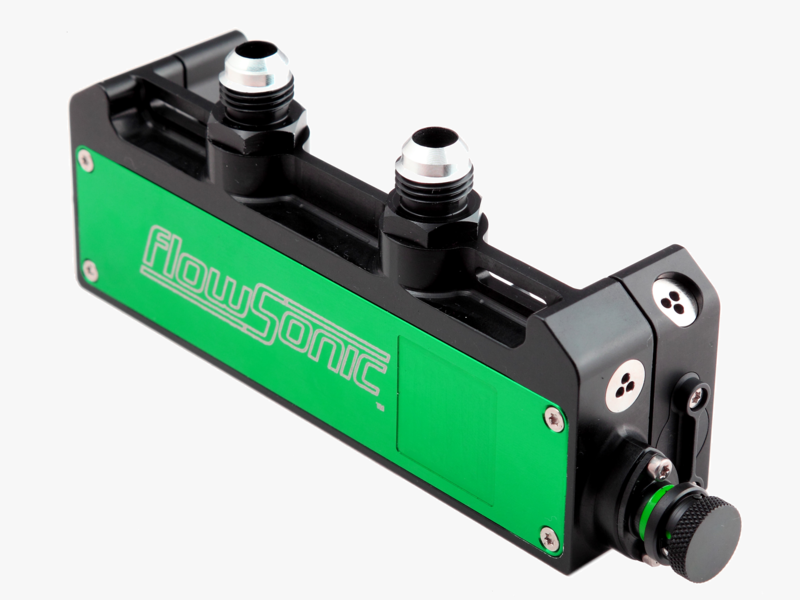 Every FlowSonic features advanced solid-state technology in a compact, lightweight package, laboratory-quality flow data with industry-leading accuracy and repeatability, a high measurement rate and turndown ratio, race-proven reliability and durability, extreme robustness and vibration tolerance, -20°C to +120°C temperature range, compatibility with all race fuel types, internal processing and diagnostics, multiple output formats, and minimal operating and maintenance cost.